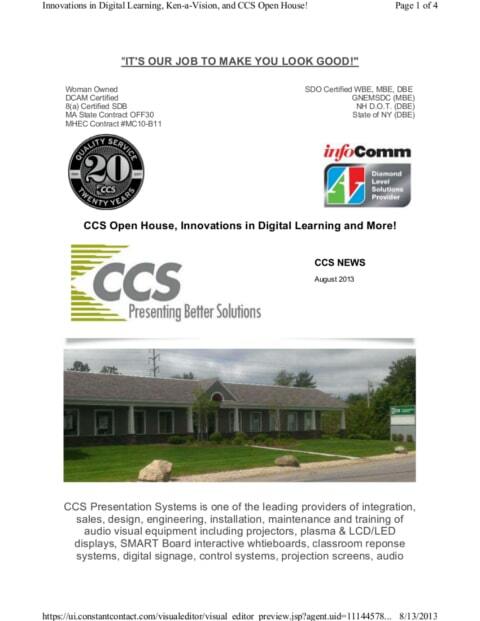 CCS New England is celebrating our 15th year! We are opening our doors for an Open House to showcase our state-of-the-art conference and training rooms Manufacturers such as SMART Technologies, Crestron, Epson, and more wll be here to discuss their latest in AV technology. Senior Systems and AV Network! New Technology Tools Help Senior Systems Accommodate Growth – See more by clicking the link above! CCS Special Events – Early Registration Prize! CCS Social – Follow and Like Us! 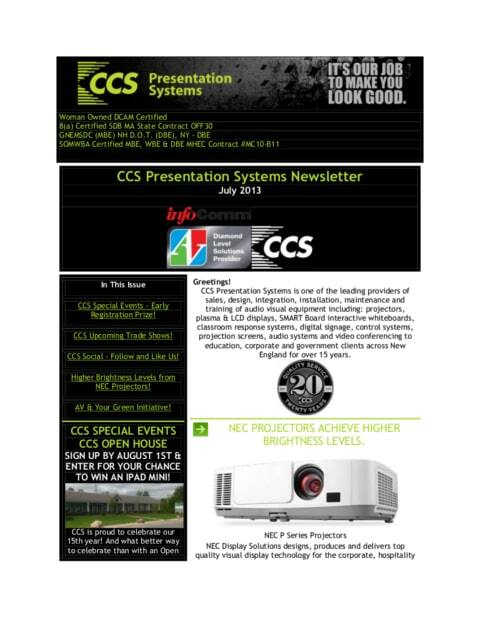 Higher Brightness Levels from NEC Projectors! AV & Your Green Initiative! NEC Display Solutions designs, produces and delivers top quality visual display technology for the corporate, hospitality and education markets. Recently, NEC launched a new line of projectors aimed for use in corporate boardrooms, higher education classrooms and government training facilities. It’s called the new P Series projectors and NEC says that its new projectors are nearly 30 percent brighter over its previous generation units. 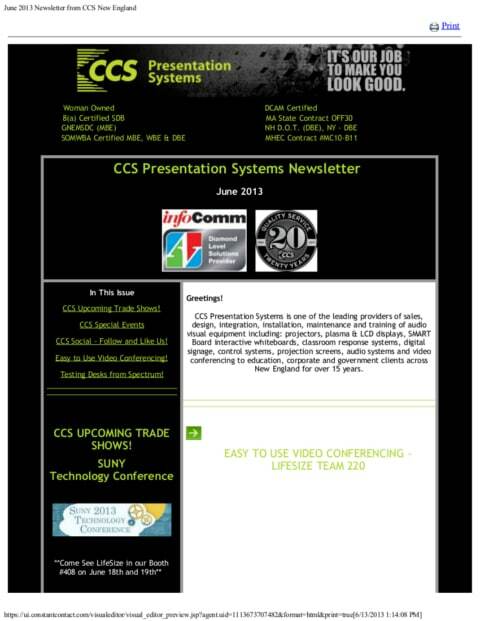 Easy to Use Video Conferencing! With the LifeSize Team 220 video conferencing solution, you get full HD video quality with unparalleled ease of use and flexibility for workgroups. By utilizing the dual HD display and camera support with the digital input and output connections, the full HD multipoint control unit and dual LifeSize MicPods, the interactions become natural and realistic.